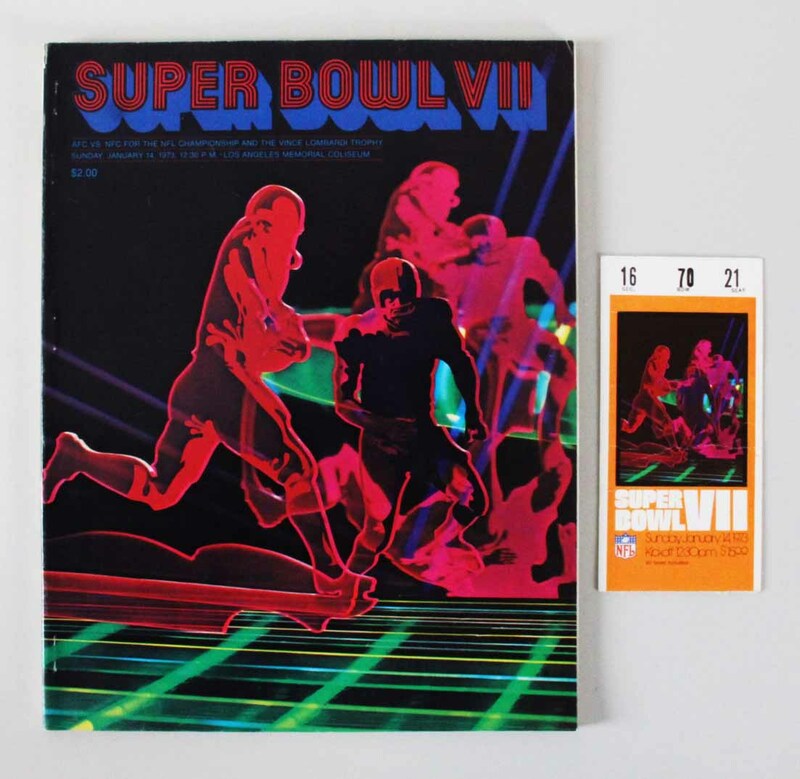 Presented is a lot related to the 1973 Super Bowl VII. It includes a program & ticket stub. 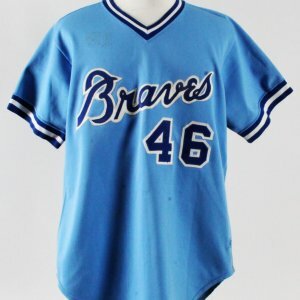 The person who got these as a souvenir witnessed a championship tilt between the Miami Dolphins and the Washington Redskins in 1973 (Jan. 14). The Dolphins, led by Jake Scott’s two interceptions, defeated Billy Kilmer’s Redskins 14-7. The program offered here is in Near Mint condition with very little cover wear and fresh-as-original pages. The stub has some expected creasing from being stashed in a pocket for safekeeping.